Providing freedom of movement, better service and increased safety. 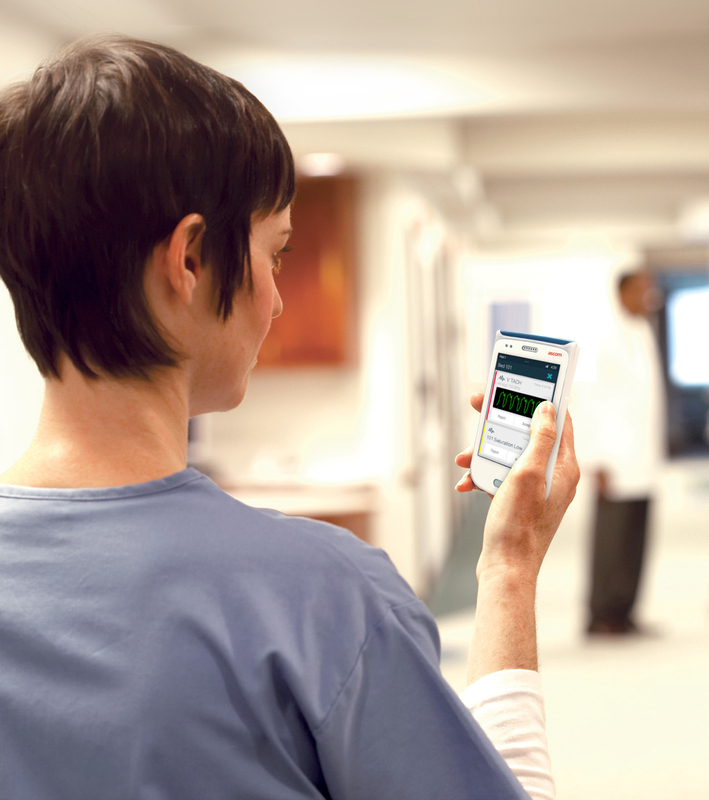 Ascom is North America’s leading developer of on-site mobility solutions, providing freedom of movement, better service and increased safety. Their research and development focuses on innovative and reliable technologies for call systems, integration and wireless communication solutions that optimize mission-critical processes. Employees can spend a vast amount of time walking to retrieve information. 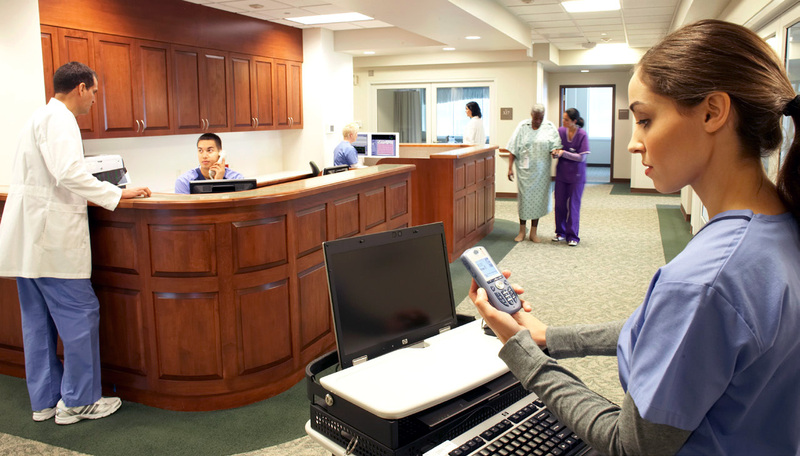 Ascom’s mobility solutions empower staff and reverse this trend with mission-critical information that reaches them where and when they need it, no matter their location within a facility. Connect teams to each other and outside communication networks, increase workflow efficiency and effectively manage alarms. By integrating with numerous building systems, Ascom phones transcend simple voice communication and can replace multiple wireless devices. Any enterprise workplace can be enhanced by adding the Ascom IP-DECT system, which utilizes industry standard TDM and VoIP telephony interfaces to provide a fully integrated wireless communication platform. Seamless call handover and automatic roaming features ensure reliability for mobile users. The Ascom IP-DECT solution can be configured with one of two system types; IP-DECT access points or IP-DECT Gateway. This professional grade communication solution may be integrated with IP-PBXs via a direct SIP interface or with TDM PBX’s via Ascom VoIP Gateways. 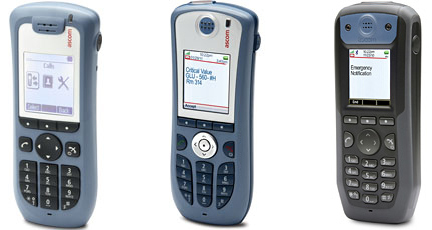 The Ascom IP-DECT system supports a highly versatile wireless handset portfolio: the d41, the d62, the d81 and the d81 EX. The d41 is an ideal handset for users with less complex demands but who still require reliable, quality handsets for intense daily use. The d62 and d81 offer the professional worker a powerful communication tool packed with feature-rich applications that improve efficiency in demanding environments. For volatile settings, the d81 EX models are the world’s only ATEX and CSA approved handsets that feature enhanced mobile security applications for increased worker safety. 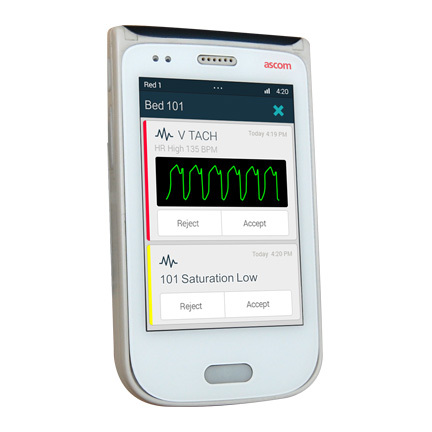 The Ascom Myco™ is the first clinical smart device designed by clinicians and built for the demanding healthcare environment. Based on the Android operating system, this versatile information hub connects caregivers to relevant, real-time information wherever they are in the hospital. The Ascom Myco also reduces information bottlenecks by cataloging, organizing and escalating critical lab results, cardiac waveforms, patient monitoring alarms, messages and calls.